Description Launching missiles, blowing stuff up, and flying in circles, all combined into a single game! Blast your way through 12 frantic levels filled with a wide variety of enemies, weapons, and upgrades. Use the WASD or arrow keys to move. Press and hold the mouse button to lock-on to targets. Release the mouse button to fire missiles. I love area shooter games: rush, mess, effects! 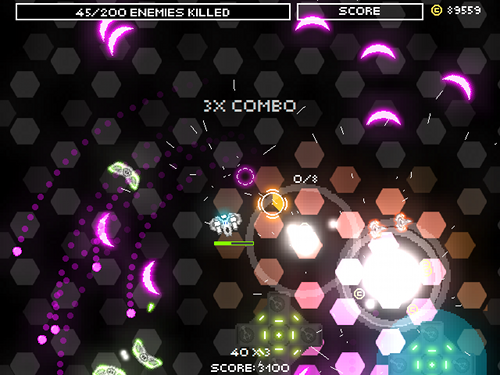 The game developer says @reddit: "A game where you can feel awesome whilst blowing stuff up."